The site aims to help baseball players improve their games. The operator of the site, the aptly named Connor Powers, just had a hitting breakthrough of his own. The surprising thing is, the 26-year-old former minor leaguer is best known these days for hitting a golf ball rather than a four-seamer. 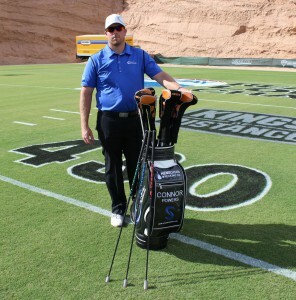 Powers, from the Chicago suburb of Naperville, is one of eight competitors who have qualified for the RE/Max Long Drive Championship. He earned his slot on Sept. 27 with a drive of 402 yards, third among the final eight still in contention. The finals will be televised live on the Golf Channel on Nov. 4 from Las Vegas, with the winner earning a first-place check for $250,000. The Golf Channel will show taped highlights of the qualifying on Oct. 14, 21 and 28. Amazingly, Powers only began his long-drive career in March, when he put down his baseball bat and started working in earnest with a golf club. After playing baseball at Mississippi State and spending three years in the minor leagues, he had ha moved on to operating his baseball-improvement website. At the suggestion of a performance coach he’d met in the minor leagues, Powers got in touch with the staff at Catalyst Golf Performance in Chicago last March. They hit it off, and Powers became a member of the Catalyst Golf Performance Long Drive team, which was formed last fall. Powers credited the comprehensive Catalyst approach with him helping him succeed so quickly on such a big stage. In less than seven months, Powers has improved his clubhead speed from 133 m.p.h. to nearly 150 m.p.h. 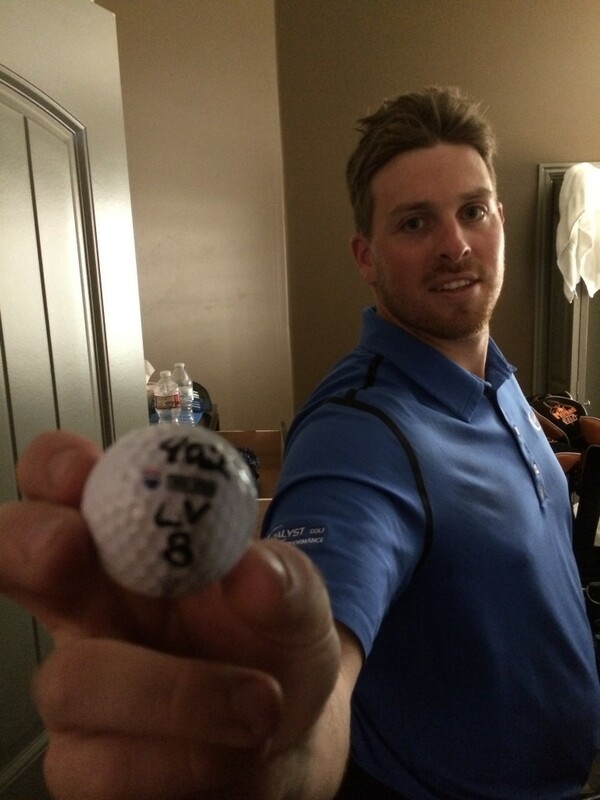 Connor Powers displays the 402-yard ball that put him in the Vegas 8. Beyond Napoleon’s swing-coaching, Powers has been following the regimens of trainer Tommy Asuma in the gym and nutritionist Kyle Shay at the training table. Powers also has been aided by using the SuperSpeed Golf training system, which uses lightweight training clubs to improve a golfer’s club speed. Essentially a golf club that substitutes the clubhead for a one of three light weights, the SuperSpeed develops a golfer’s swing technique for faster clubhead speed. The SuperSpeed system was designed by the Catalyst staff, which includes head golf instructor Joe Sheren and head golf coach Dave Cunningham, and the captain of Catalyst Long Drive team, Eddie Fernandes. Fernandes, who also competed in the round of 128 for the Long Drive Championshp, was instrumental in developing the SuperSpeed training tools. He simply came up in short in the long-drive format, a series of four-man showdowns. Fernandes, 43, not only hits 400-yard drives. Powers has never beaten him in their head-to-head training matches. In a sense, Fernandes was the spark for the Catalyst Long Drive program. An accomplished college and satellite-tour golfer who hadn’t played competitively for a decade, Fernandes decided to give long-drive competition a shot after watching the RE/Max Long Drive Championship last fall. Looking for facilities that used Trackman golf-simulators, Fernandes got in touch with Napoleon at Catalyst last November. By February, he was a serious contender at the season-opening Long Drive qualifying event in Mesquite. He went on to win an automatic-qualfier slot at a Florida event last summer. Like Powers, Fernandes credited Catalyst with helping him train at a high level while avoiding the injuries that can accompany swinging a golf club with the kind of force that long driving requires.